Director's Commentary—Terror Of Frankenstein (USA, dir. Tim Kirk)—This “mockumentary” of sorts sports a brilliant concept, albeit unevenly executed. I dozed off now and again because listening to two old men recount memories, however intriguingly morbid, has a certain lulling effect, and—truth be told—I’m not a huge fan of listening to director’s commentaries on DVDs and Blu-Rays, though I know diehard fans who devour such things for every bit of trivia they can access about a movie. Kirk advances the notion of an unreliable narrator by providing an unreliable commentary to an all-but-forgotten—yet authentic—Frankenstein film, Calvin Floyd’s Terror of Frankenstein (1977). Fans of the previously eccentric cinephilia demonstrated by helmer Kirk and producer Rodney Ascher (Room 237 and The Nightmare) will have no trouble taking to this film’s metatextual approach. While offering an opportunity to take a look at Floyd’s original film, the “commentary” is the real movie here, heard not seen, which recounts a series of grisly murders allegedly associated with the making of the film by a serial murderer who’s a member of the cast. Can you guess who? In a way, it’s a MacGuffin, as what is most entertaining about Director’s Commentary is its droll sense of humor, replete with throwaway lines that hardly offer time to laugh—think MST2K spliced with Masterpiece Theater. Director’s Commentary likewise takes a wry punch at the way momentary nostalgic interest in a film can breed financial exploitation. Equally clever, and with a tip of the hat to Room 237, the spirit of Kubrick is conjured yet again, this time as the lead actor of Terror of Frankenstein, Leon Vitali (featured in Kubrick’s Barry Lyndon and Eyes Wide Shut) revisits his role as Victor Frankenstein to acerbic effect. One can almost imagine him shrieking, “It’s alive … again! !” International Premiere. Official site. IMDb. Facebook. 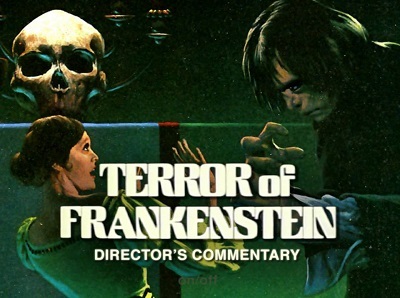 Terror of Frankenstein Director's commentary from Festival Fantasia on Vimeo. We Are Still Here (USA, dir. Ted Geoghegan)—I’m only two days into the festival, but I’m going to be hard-pressed to find anything as satisfying as Ted Geoghegan’s directorial debut. Long-time fans of Fantasia know Ted as one of the festival’s hardest working publicists, so there was a real sense of keeping it in the family and rooting for the home team at the one-off screening of We Are Still Here’s Canadian premiere. I look forward to transcribing the lively Q&A. But for now, let’s focus on my immediate satisfaction. I’ve long been hard-pressed to justify to more “serious” movie fans my unflinching passion for the horror genre. No other genre (when done well) achieves the catharsis I crave from watching sci-fi, horror and dark thrillers (accounting for my continued presence at Fantasia over the years). 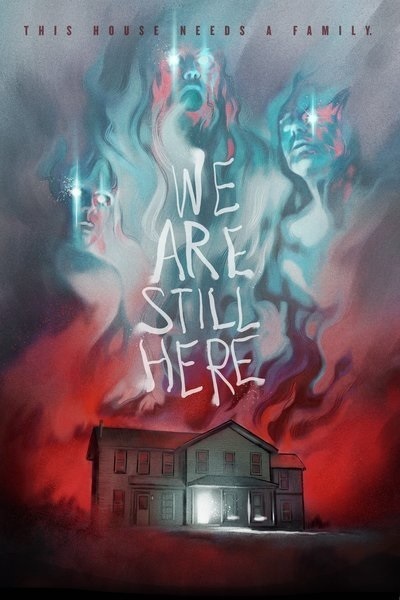 Without playing it for irony, We Are Still Here succeeds as a meticulously enamored homage to the giallo films of Lucio Fulci, specifically The House By the Cemetery (1981)—several characters in We Are Still Here are, in fact, unapologetically named after characters or people associated with Fulci’s film—yet Geoghegan retains a distinctly unique contemporary pace and directorial signature. Pacing and balance set We Are Still Here apart from so much of that ill-behaved step-child—the horror-comedy genre hybrid—which rarely works for me, even as it seems to be the kneejerk indulgence of fledgling genre filmmakers. If I laugh at a horror film, I want it to be out of nervous relief (catharsis in action), and not because I’m making fun of the genre or holding myself above it. Pacing and balance determine the pitch of a film. 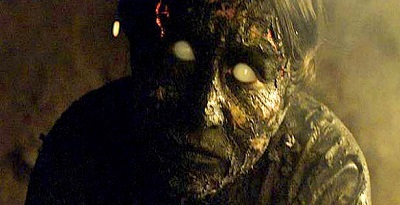 I knew Geoghegan had the pitch perfect when a flashlight beam streaking across a cellar wall made me shriek and flinch. And then I laughed, because I had been terrified by something so simple, which meant I was being expertly set up. Send me to a psychiatrist and pay the invoice if this concerns you. The film’s atmosphere is beautifully established through Karim Hussain’s widescreen cinematography: an early scene shows snowy plains whipped by wind into whirling snowdevils, which presages disquietude to come. Wintry isolation brackets the embered spirits of We Are Still Here, creating an elemental tug-of-war between snow and fire. At Variety, my SFFCC colleague Dennis Harvey is less enthused: "Ted Geoghegan's feature directing debut somewhat awkwardly straddles straight-up horror and tongue-in-cheek homage, its humor seldom foregrounded yet still sufficiently omnipresent to somewhat undermine the scares. ...Even the occasional gaps in narrative and character logic make sense in the context of homage—particularly to Fulci, but also to such cultish U.S. indie horror films of the era as Let's Scare Jessica to Death. Of course, viewers with a shallower genre viewing history to draw on will simply fault We Are Still Here as being corny and careless." At The Hollywood Reporter, Frank Scheck's bottom line is that We Are Still Here "plays like an old ABC TV 'Movie of the Week'—and that's a compliment." Scheck adds: "Showcasing juicy performances by its actors who tear into their stock roles with admirable conviction," he gives "special props for the casting of 79-year-old Monte Markham in a role in which the veteran character actor truly sinks his teeth." At Twitch, Peter Martin states: "We Are Still Here does not reinvent the horror wheel, but it respects the genre enough to know when it's time to grease that wheel with a little blood—OK, a lot—and more than a few welcome surprises. It manages to do all that with an authentic spirit, whether it's being quiet and unsettling or jolting and savage." Martin likewise praises cinematographer Karim Hussain, "who captures the beauty and terror of the story's many daytime settings, putting the lie to the idea that horror only comes out at night."